After showcasing work from feminist art group Guerrilla Girls, the gallery has now brought in another female artist, Lorna Bieber. 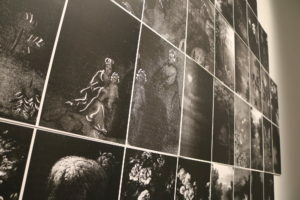 Her solo exhibition, “Traces,” features montages and murals of black and white photographs of insects, birds and other animals, altered by Bieber in her own unique way. “It really is technique in service of the emotion” she said. 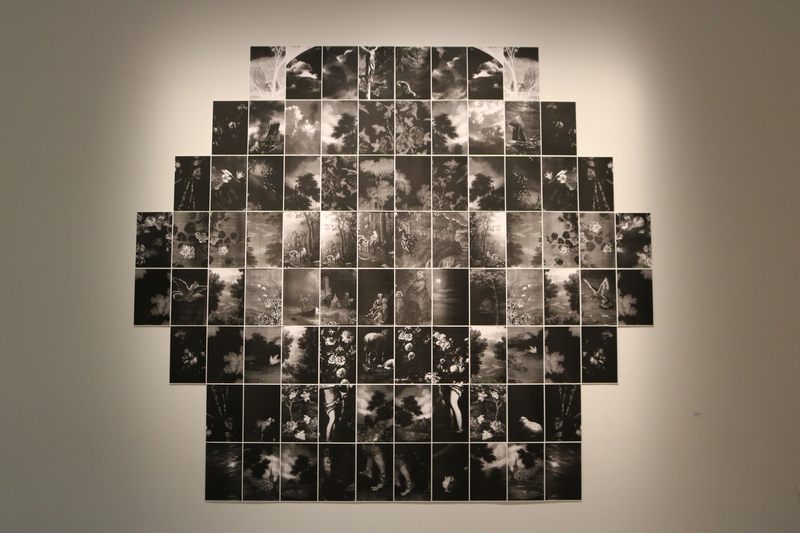 In order to create these telling pieces, Bieber first finds a set of photos and manipulates them through photocopying and “collaging” to create something entirely unique. These grainy images are then turned into either monochromatic murals or large montages of individual images featured side by side. The photo manipulation is not meant to take away from the photograph itself, but rather to make the viewer think as opposed to looking for a story, suggests Levitov in the exhibit’s program. Some parts of the pieces may be blurred, while in others, each feature is clearly defined. The montages are composed of nature-based subjects such as birds, insects, clouds and trees, while the murals offer a much closer view of each individual object. “Bird/Chest” is the straightforward title of a mural that provides an up-close look at the chest of a bird. One of the largest pieces on display is a tapestry that stretches from the floor to the gallery’s high ceiling. The tapestry, created in 2014 and 2015, follows the same pattern as Bieber’s other works, with high contrast backgrounds, butterflies and flowers dominating the piece. “I would never get bored of looking at this,” Anamaria Salobo, a freshman economics major who was observing the tapestry, said. If you are interested in seeing Bieber’s artwork for yourself, the free exhibit will be open to the public through Dec. 18.